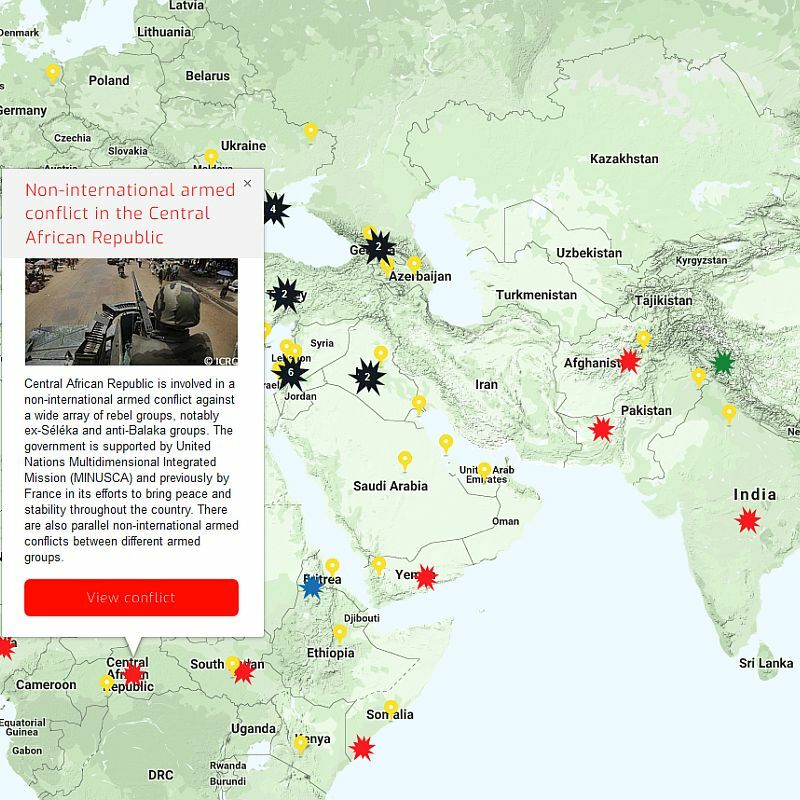 The War Report article Central African Republic: Sectarian and Inter-Communal Violence Continues provides detailed information about the history of the ongoing conflict in the Central African Republic (CAR), parties to the conflict, key developments in 2018 and war crimes allegations since July 2002. Written by Giulia Marcucci, currently enrolled in our LLM in International Humanitarian Law and Human Rights, it will form part, along with other analysis of conflict situations, of the War Report 2018 which will be published in the first quarter of 2019. This article provides the tools to understand the complex dynamics of this armed conflict that has been lasting since 2002. ‘The article summarizes not only the history of the conflict but provides a detailed analysis of the 13 most important and active armed groups involved in the conflict’ explains Dr Annyssa Bellal, Strategic Adviser on International Humanitarian Law at the Geneva Academy and Editor of the War Report. ‘It also reviews the involvement of the United Nations Multidimensional Integrated Stabilization Mission in CAR (MINUSCA) as a party to the conflict, although this assessment remains controversial’ underlines Dr Bellal. MINUSCA has been increasingly involved in the conflict in joint operations with the Central African Armed Forces in order to dismantle militia bases in Bangui and oust armed groups around Paoua. This involvement led, in April 2018, to some direct confrontations between this mission and armed groups in the PK5 neighbourhood. The Rule of Law in Armed Conflicts (RULAC) online portal provides a legal analysis of the non-international armed conflicts that are taking place in CAR, including an overview of the situation, their classification, parties to these conflicts and applicable international law.